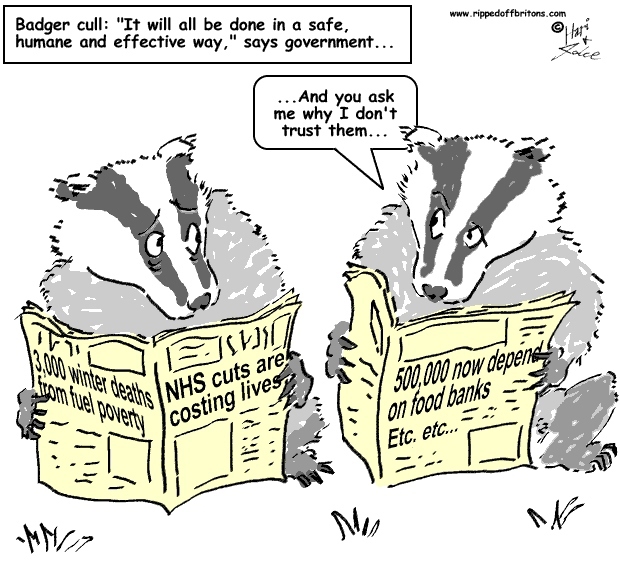 SOURCE GUARDIAN: Badger cull: only small proportion of shootings to be monitored for humanenessThe government was accused of not properly assessing the animals' suffering after a freedom of information (FoI) request revealed that as few as 120 shootings will be independently observed, out of about 5,000 badgers set to be culled. Liebrary: Are Britain's energy companies' charges for domestic gas & electricity really the lowest in Europe? No!